My legend, my thorns, my legacy, my horns. Is all that I desire to see. Behold, the deceiver must come unto be. Behold, I will drive the nails deeper into thee. Until your rotting carcass covers me in blood. In which so blindly they defend..."
Let me show you casualties unknown..."
I shall stand in the way of the Light,..."
"And the children shall lead the angels at play in the fields of slaves. For man is the hunted, accused and forsaken and slain by his own domain. The diamonds edge will cut the eyes of the paper mask in paradise. The fools of fortune paint their portraits..."
"And the evil empire came upon her Israel. From the seed, the ancient blood of Abraham is come,..."
Seven horns and seven eyes remain. 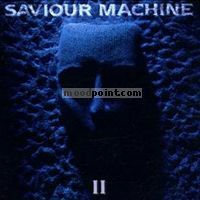 The Son of Man, the first born of the dead;..."
if you want to see other song lyrics from "Saviour Machine Ii" album, click "Saviour Machine Singer" and search album songs from the artist page. If you know some new information about Ascension of Heroes, or other song from our site, that isn’t already on song page, please let us know, Any refinement, news, or comment is appreciated. If information about Ascension of Heroes, or any song from moodpoint directory is wrong, please contact us and write where the incorrect data should be replaced by correct data. 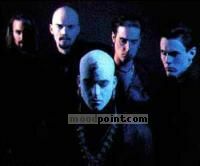 Use "Find Lyrics" box on our site, try to use different artist or (and) song title(ex: Ascension of Heroes) word forms.